Based in Hertfordshire, John Landers is a freelance cartoon illustrator creating gag cartoons and funny illustrations for newspapers, magazines, websites and individual customers. His work has appeared in most UK publications that publish cartoons including Private Eye, The Spectator, Reader’s Digest and others. His work also appears in many publications around the world. See him live in action (recorded!) as he draws The Chuckle Brothers and ace ‘pun-meister’ Tim Vine here. John is available for live work – Corporate visualisation events, Live comedy cartoon performances, Live presentation development and painting. 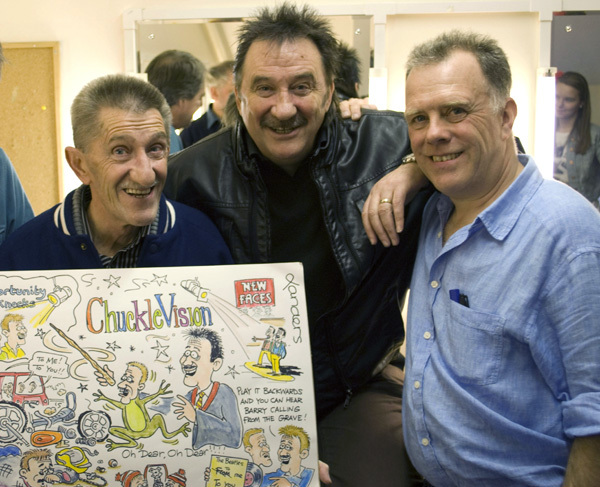 Come and see him along with a variety of the nation’s published UK cartoonists, LIVE cartoon painting on 27th April 2019 – Shrewsbury Cartoon Festival – Corn Exchange (in the Square) 11am – 3pm.